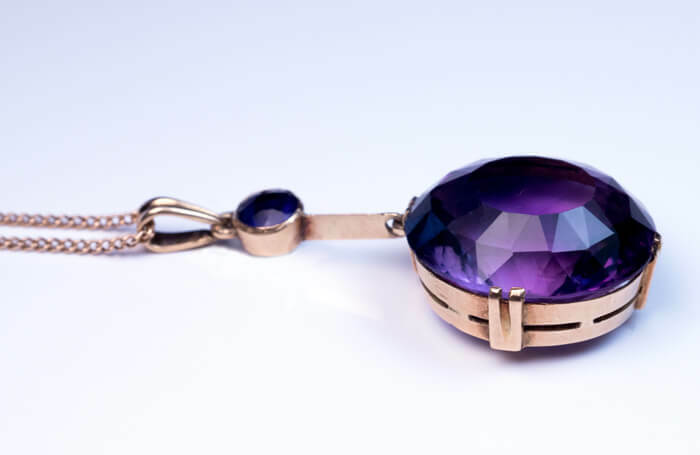 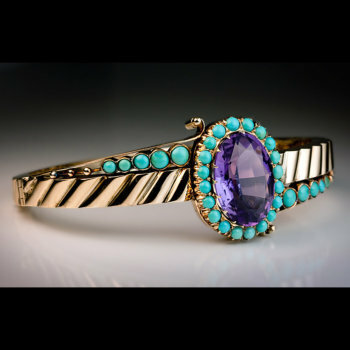 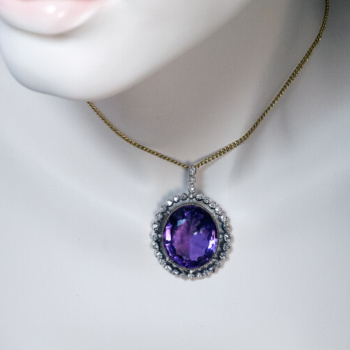 A 14K rose gold necklace features a sparkling oval Russian amethyst of a medium purple color. 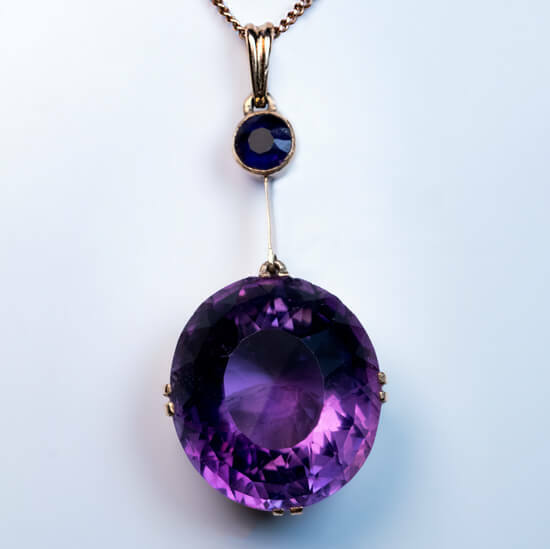 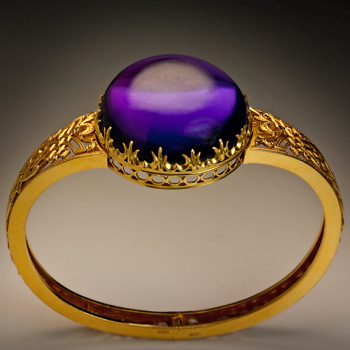 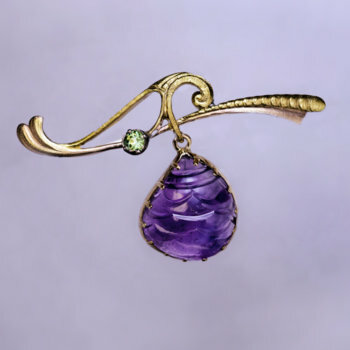 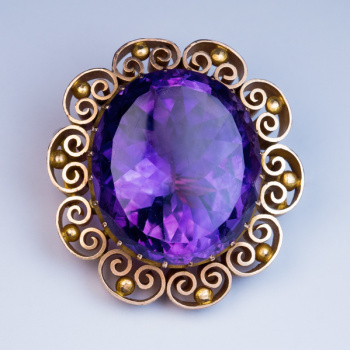 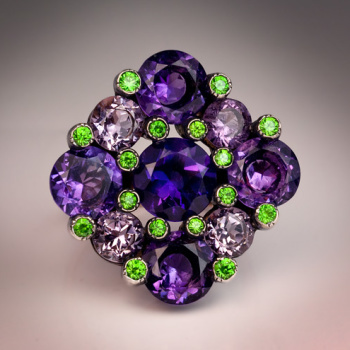 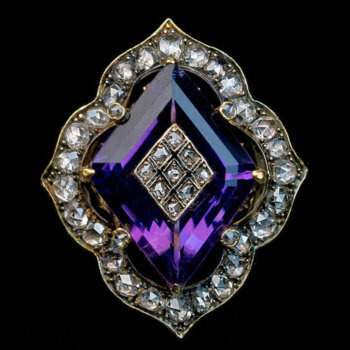 The amethyst measures 17.8 x 15.8 x 10 mm, approximately 14.91 ct. 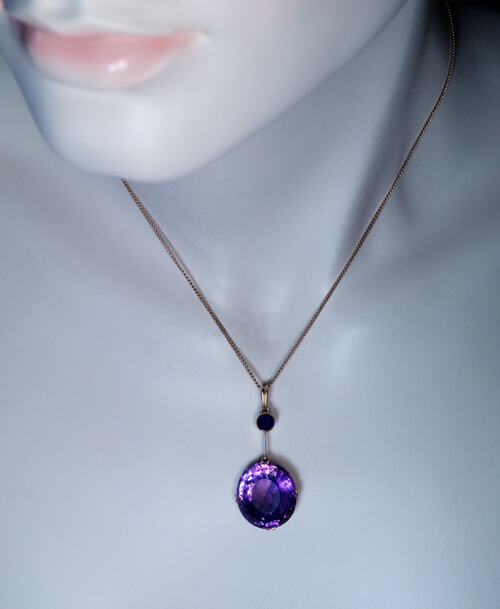 Marked on chain with Soviet 583 gold standard.